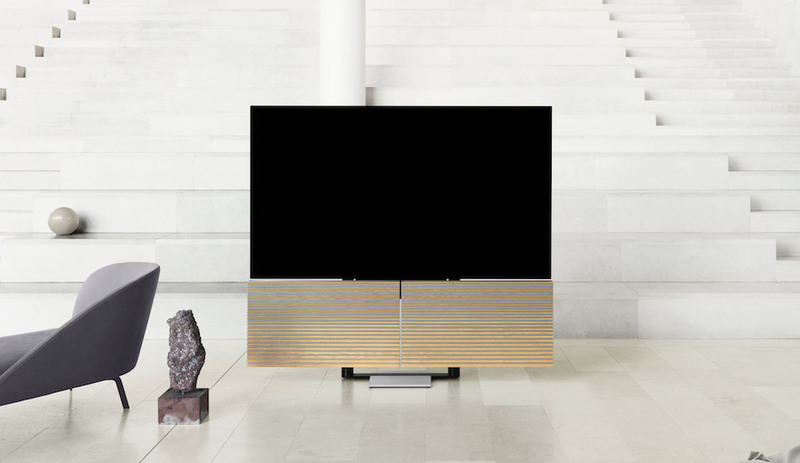 Among the works that caught our eye during Toronto Design Week 2017 were dozens of designs that used wood as the main medium. 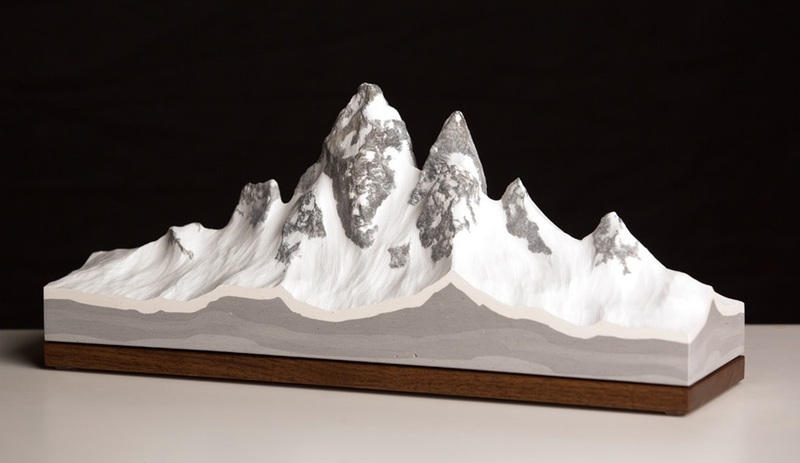 Here are eight unusual favourites, including works from Djuna Day, Paolo Aguila and Propellor. The 2016 Woodshop exhibition of ash wood prototypes had an encore during Toronto Design Week 2017, with a second showing at City Hall. 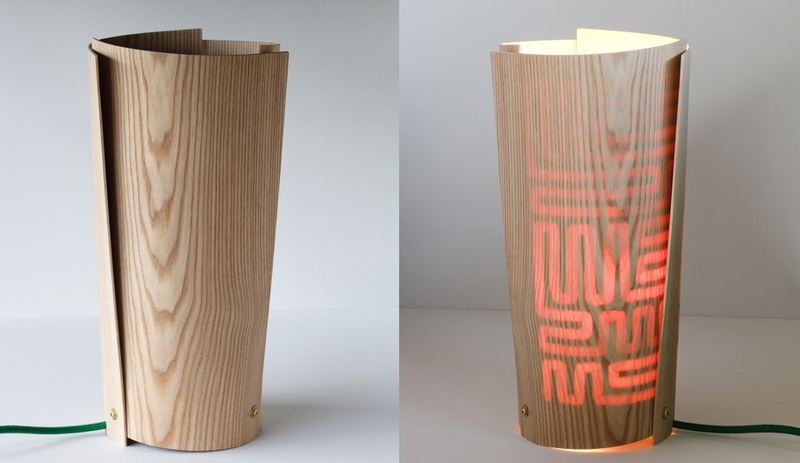 Woodshop’s material supply, sourced from trees felled by the Emerald Ash borer, provided inspiration for this steam-bent lamp. 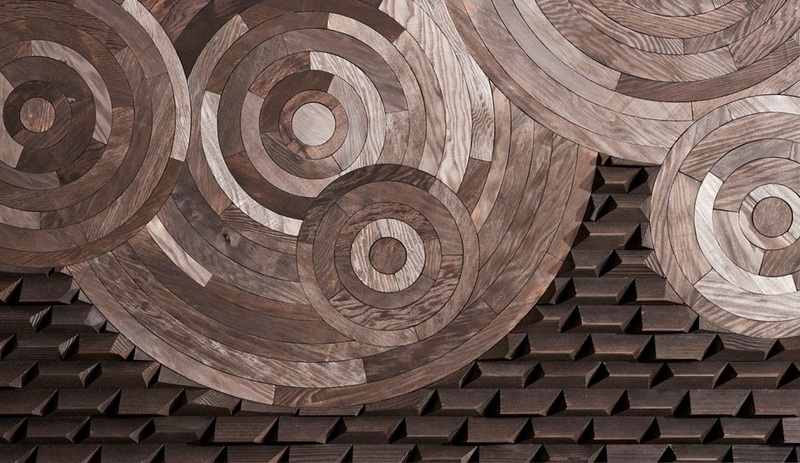 A network of grooves carved into the interior mimics the lines left when the pest bores into the trees, and allows a soft glow to filter through the wood. 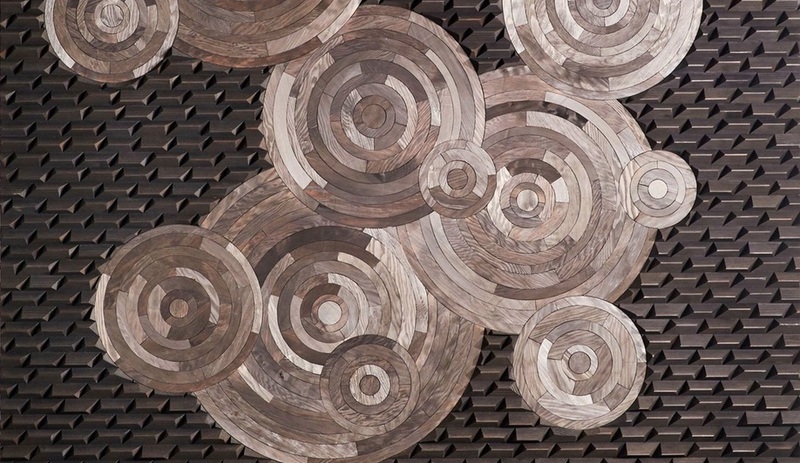 In addition to her collection of meticulously crafted furniture, Toronto woodworker Djuna Day also has a line of what she calls “assemblage sculpture.” While many of these wood designs are realized with scraps leftover from building other pieces, her latest works include this framed design featuring ebonized wood tiles patterned in concentric interlocking circles. 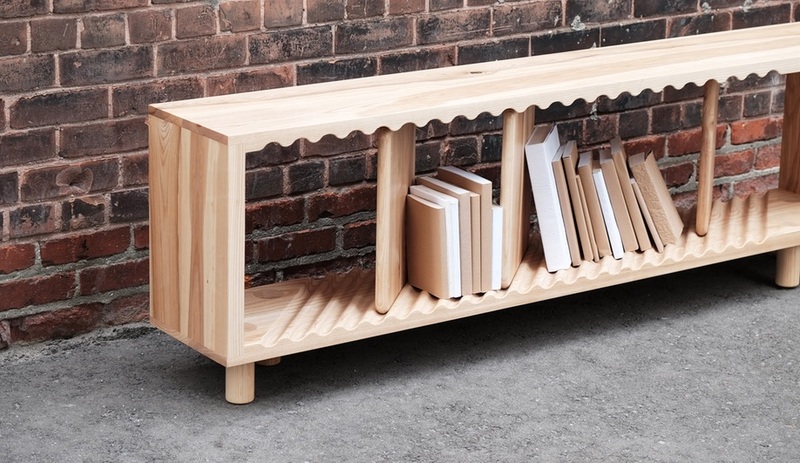 For this low credenza, Deagan McDonald and Kelsey Nilsen, of experimental studio Origins, used CNC milling technology to carve a corrugated pattern that allows books to be displayed in a new and unexpected way. 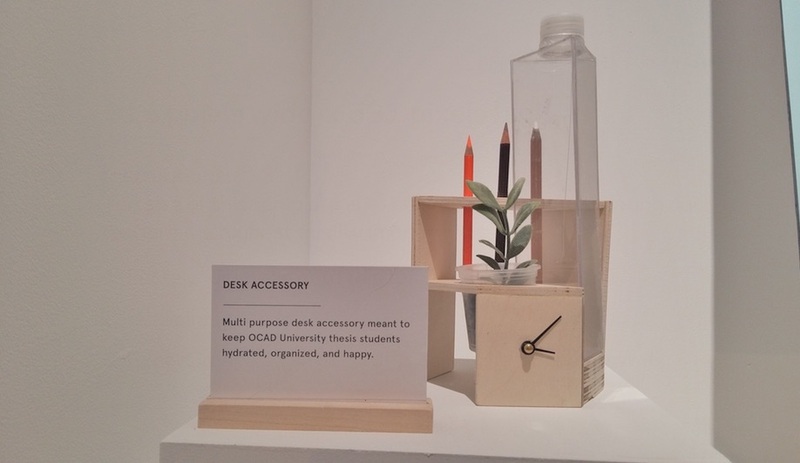 A standout at OCAD University’s Off Course – an exhibition of in-progress student works – Bigland’s Desk Accessory is a thoughtful and incredibly simple reminder to stay hydrated. Part of a year-long thesis project that utilizes water as a medium for increasing student overall health and productivity, it incorporates a water bottle, a clock, and a tiny plant holder. For the Vancouver submission to the Outside the Box show, curated by furniture maker Kate Duncan, Bowen Island studio Gamla contributed the latest iteration of its Odblocks series of interlocking objects. 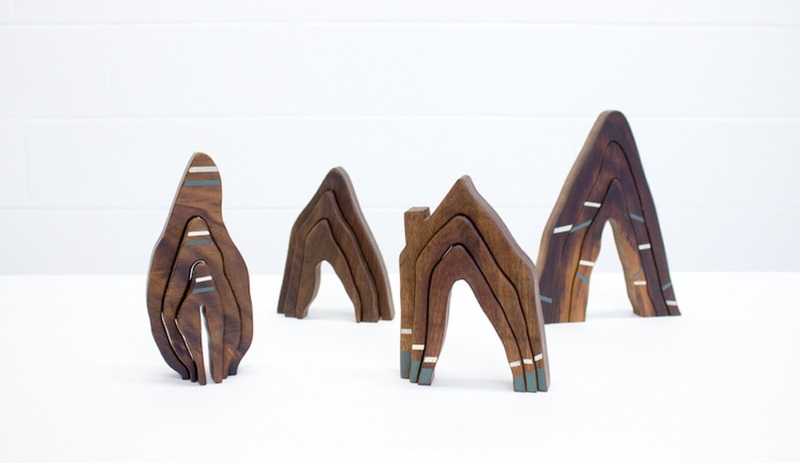 Made from walnut offcuts, these sculptural objects are sold in one-of-a-kind sets that make suitable toys for adults and kids alike. Also part of Vancouver’s Outside the Box collection, lighting designer Propellor builds up its tiny mountain ranges from a dark walnut base. The snow-covered peaks are formed from basalt and gypsum. 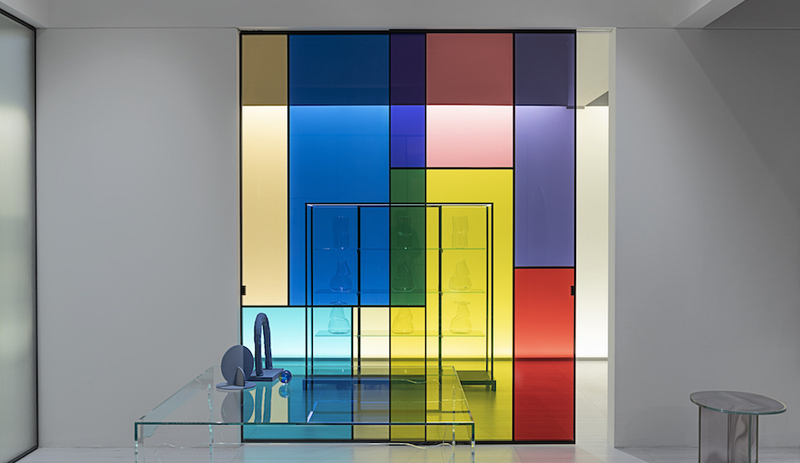 The series originally began as an alder box–framed lighting feature, and now a variety of free-standing versions have been added. A 2016 AZ Awards finalist for his Cradle Tea Service, Aguila debuted his three prototypes for urban agriculture at OCADU’s Off Course. 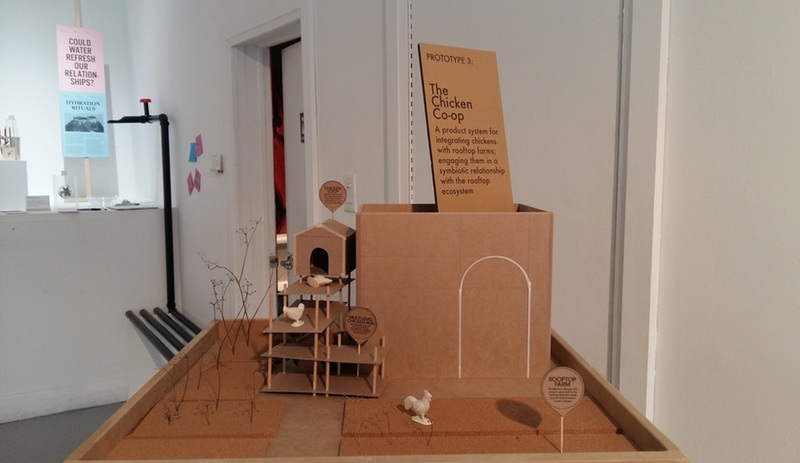 The Cuckoop Clock, Chicken Co-op and Gallenera presented design concepts for keeping chickens in an urban environment – on rooftops, balconies and even inside an apartment. 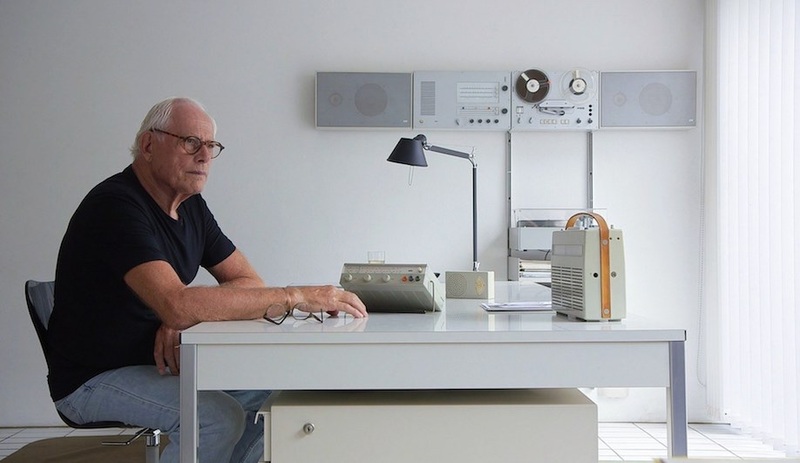 He’ll show the evolution of this work at OCADU’s end-of-year show, in May. Students in Oasis’s alternative school program get high school credits for running a skateboard business and professional design studio. They put those skills to use in creating this post-apocalyptic skate-rat clubhouse for the Gladstone’s Come Up to My Room. Built from plywood and broken skate decks, the hideout is topped with a quarter-pipe ramp and juxtaposed with a “fine art” wall opposite. 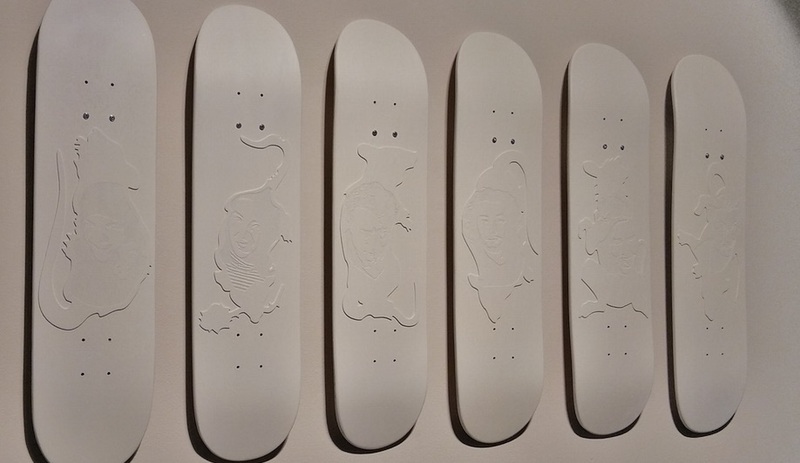 The miniature gallery of all-white decks feature laser-etched images of the artists on the backs of rat-shaped cutouts.